1. 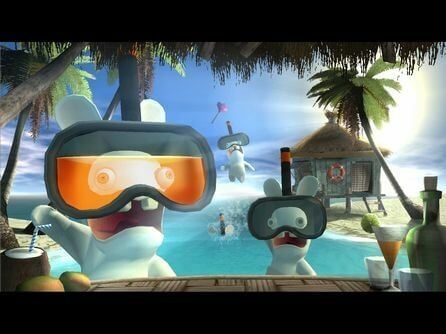 Open the Uplay client and log in. * 2. Click on GAMES tab. 3. Click on the ACTIVATE PRODUCT button. 4. Enter your code in the "Activation Product" field. 5. Click OK at the bottom of the Uplay Product Activation page. This will activate the game on your Ubisoft account. *If you are new to Uplay please download the client and create an account at HTTPS://ACCOUNT.UBISOFT.COM. 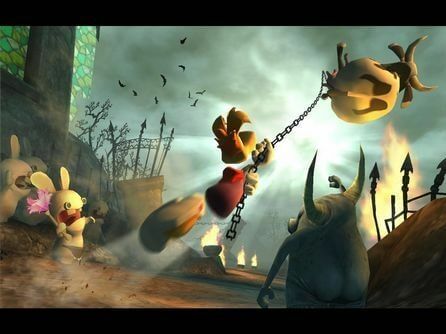 Hordes of crazed out-of control bunnies have invaded, enslaving Rayman and forcing him to participate in 'gladiator' style trials. 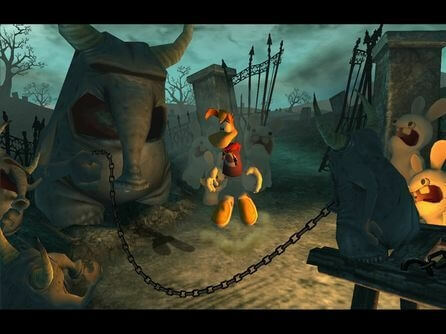 Help Rayman win his freedom back by entertaining and outwitting these fury foes. 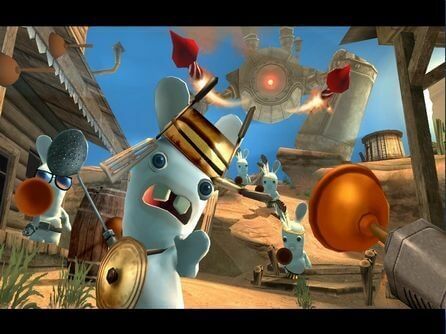 Use the most hilarious fighting moves imaginable. 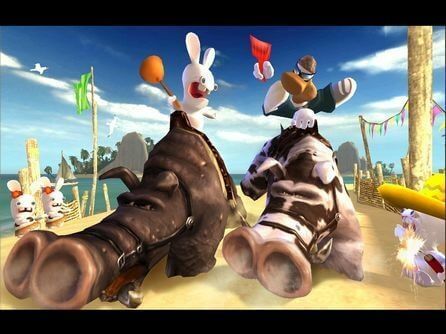 Run races on animals, fight in the arena, mesmerize the bunnies with your dance moves, throw cows, milk pigs or engage in plunger shooting madness! The possibilities for fun are endless. Supported OS: Microsoft Windows® XP (only) Processor: Intel Pentium® IV 1.0 GHz or AMD Athlon processors (2.5 GHz or better recommended) System Memory: 256 MB of RAM or above (512 MB recommended) Video Card: 64 MB DirectX 8.1-compliant video card (128 MB video card recommended)(*see supported list) Sound Card: Direct X 8.1-compliant sound card DirectX Version: DirectX® version 9.0c or higher Hard Disk: 1.5 GB available hard disk space Supported Peripherals: Keyboard and mouse, Windows-compatible gamepads Supported video cards at time of retail release: NVIDIA GeForce FX/6/7/ series, ATI Radeon 9000/X series. Laptop versions of these cards may work but are not supported. These chipsets are the only ones that will run this game. For an up-to-date list of supported chipsets, video cards, and operating systems, please visit the FAQ for this game at http://support.ubi.com.